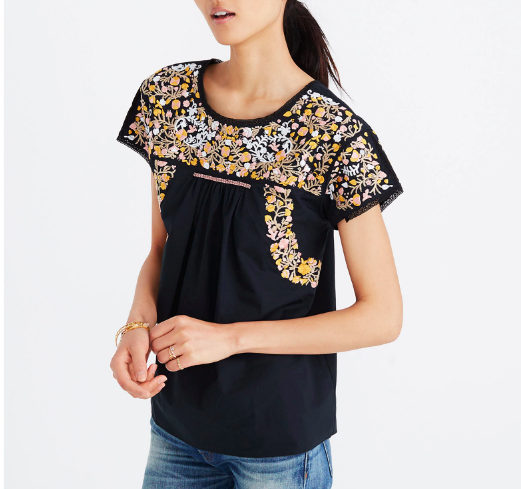 I dig the pops of yellow on this embroidered Mexican-style top. This looks much fancier than it really is, and could be dressed way up. And this henley top is deeply casual, and would look great with cutoff shorts. 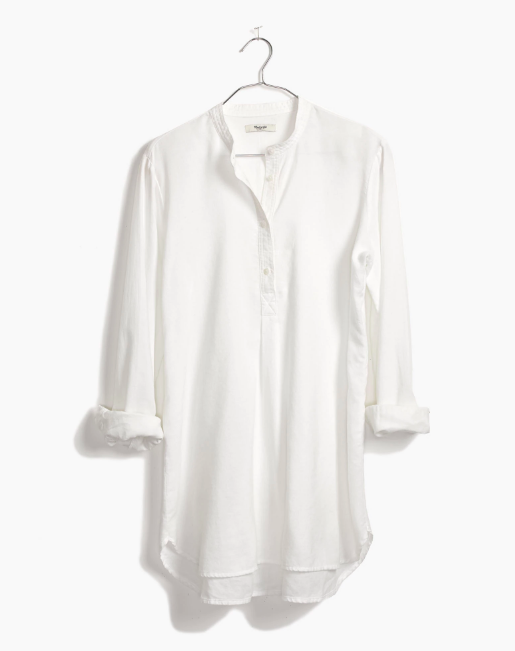 A crisp white popover that’s super-light and soft. 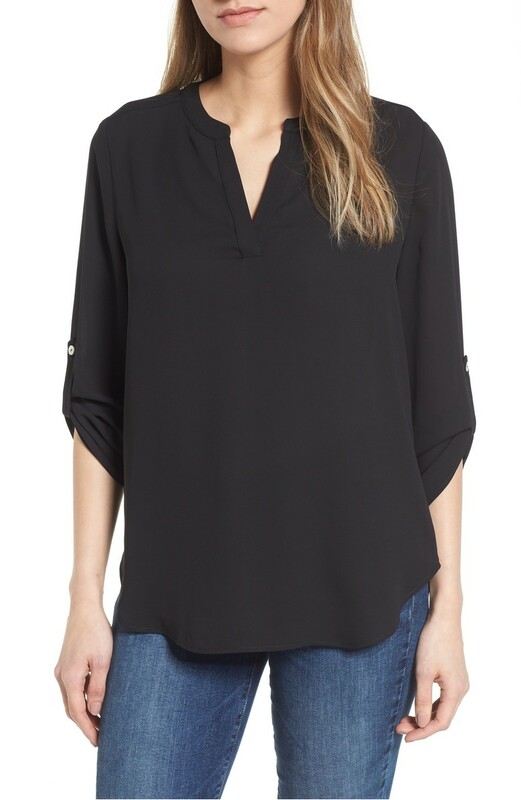 This feminine floral top with ruched sleeves is an excellent candidate for print mixing. 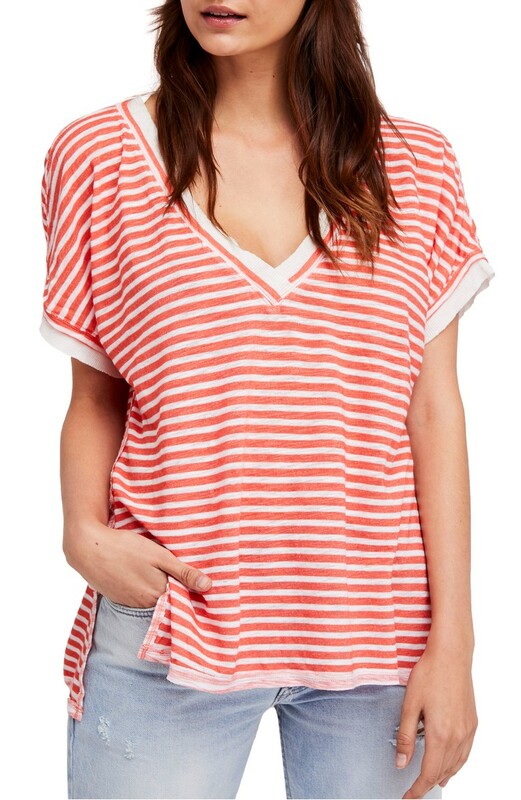 I like how deep the V-neck is on this striped top. 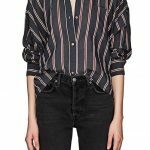 A beautiful, billowy poet blouse with subtle striping. 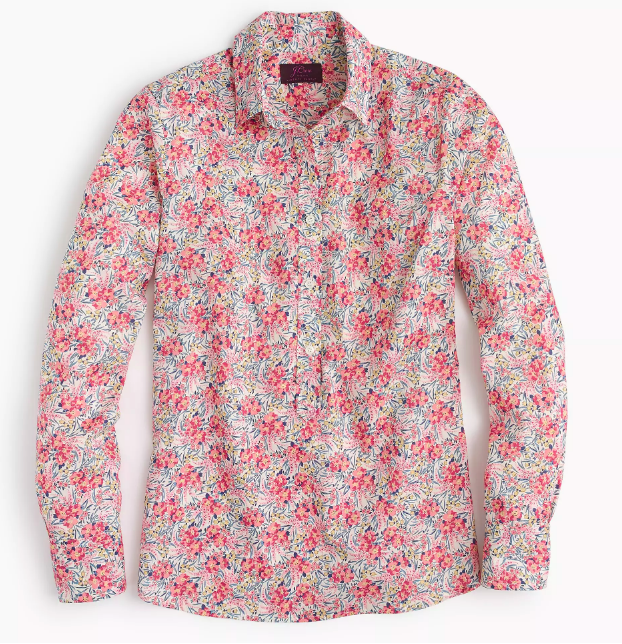 Such a sweet Liberty print on this popover. 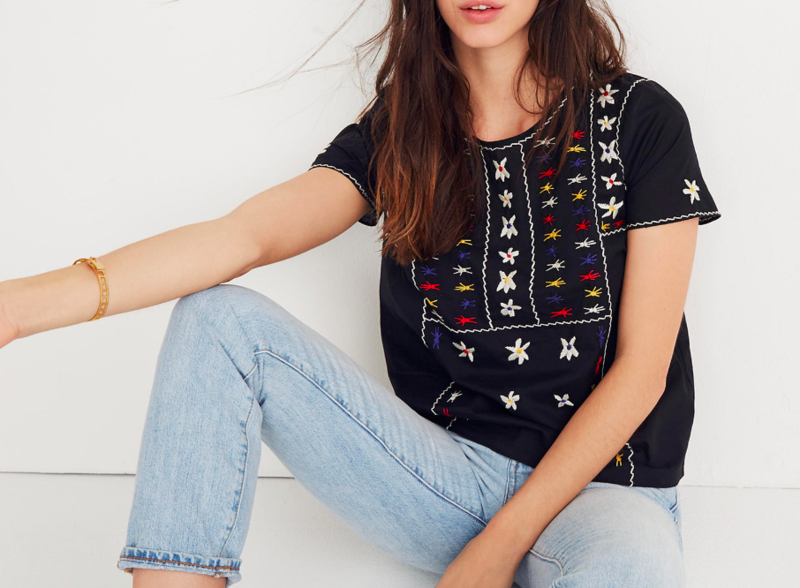 Another really good, quite graphic embroidered top. Just an easy, office-ready tunic for throwing on when you can’t decide what to wear. This striped peasant top is pretty adorable with the pom-poms. 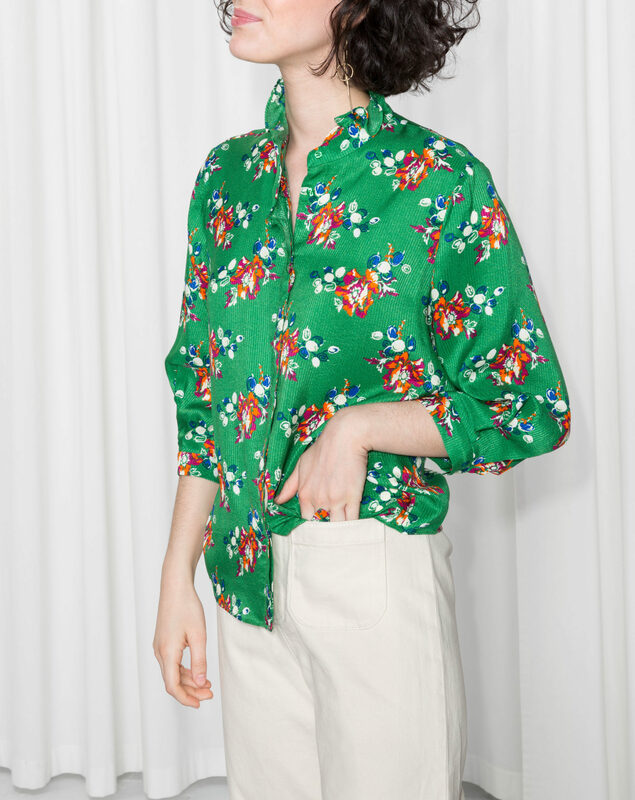 A nice poppy green and ruffle collar make this one standout. 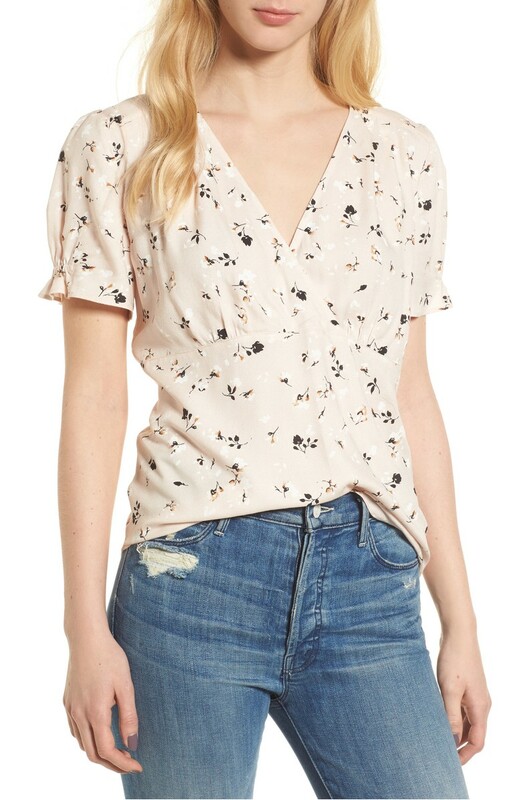 This floral top is girly without veering into prissiness. 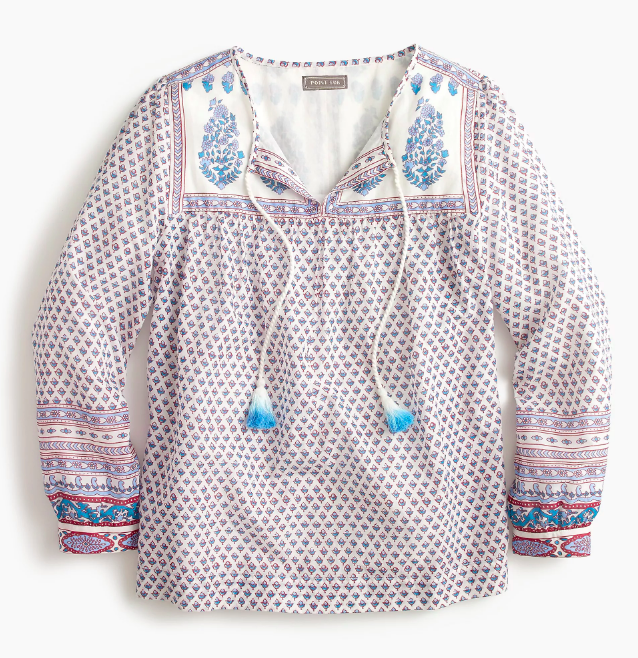 Everyone needs a good hippie girl top once the warmer months hit. And finally: this drape-front blouse also looks pretty good in black too, but this seems like a nice summery hue. I don’t comment so much, but I read every day. And I can’t wait for your book! 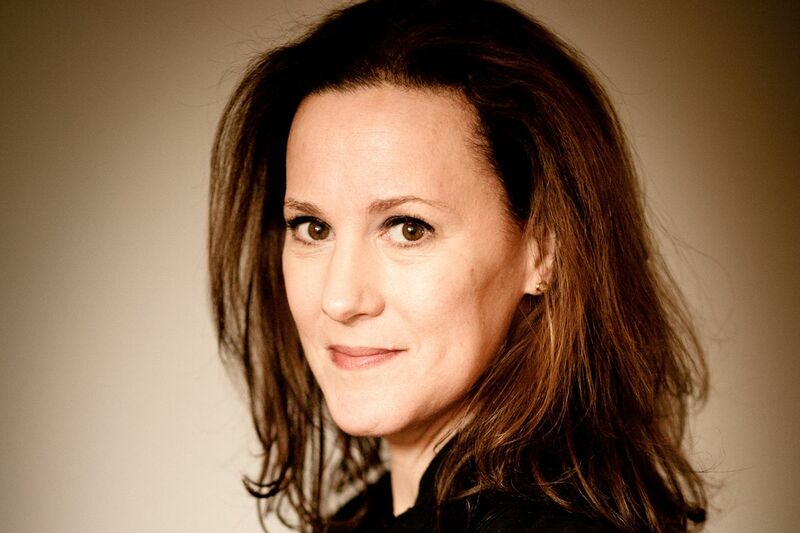 Great picks, Kim--thank you! I don't comment so much, but I read every day. And I can't wait for your book! I had a top almost exactly like the J.Crew one that I wore to threads in the late sixties early seventies that was from India (as many of those tops were in those days and smelled of incense even after it was washed and worn and washed and worn––or wait, that may have been because of the hippie-dippie incense I burned––suddenly feeling very RosannaDannaDanna). 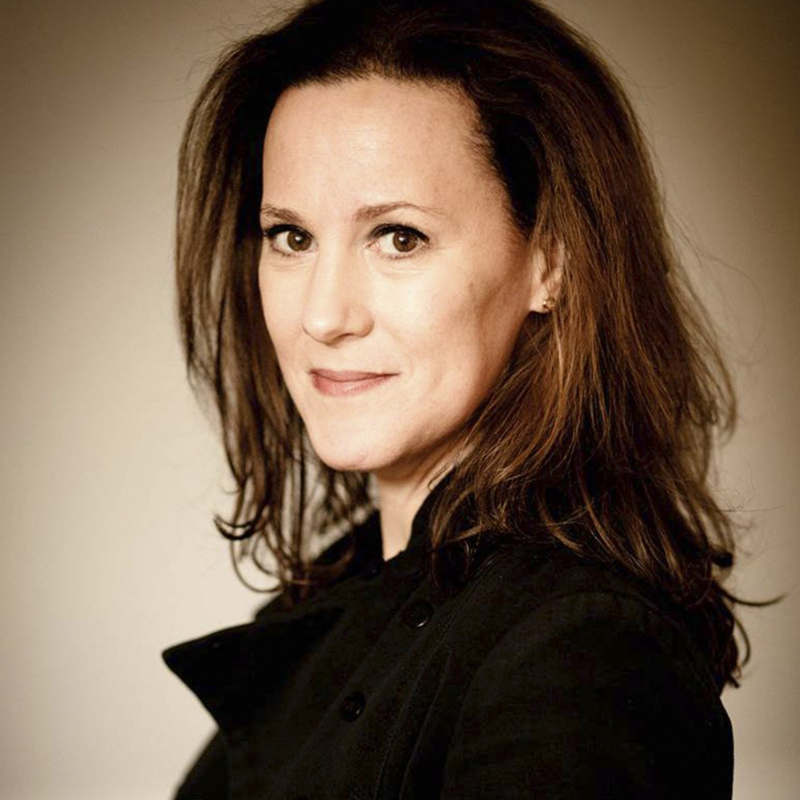 I may have to purchase that blouse just for nostalgias sake. It would look GREAT on you, C-dub! What a great selection, the green one is outstanding. Thanks, Kim!! 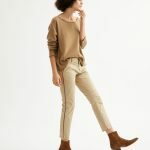 love the first one but… a viscose/ linen/ cotton blend summer top that’s dry clean only? I fear it will end the summer looking like a threadbare grey rag that’s spent half its lifespan at the cleaner’s. 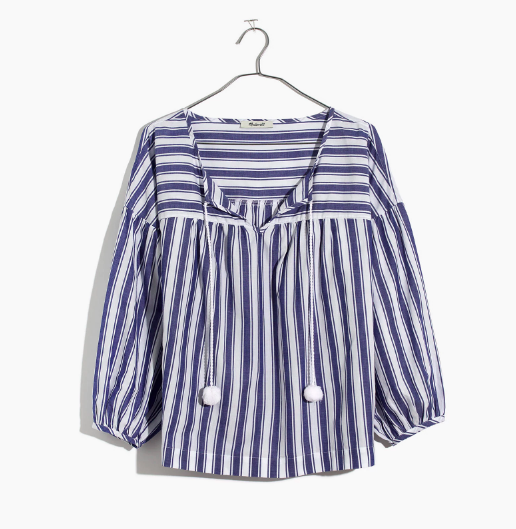 love the first one but... a viscose/ linen/ cotton blend summer top that's dry clean only? I fear it will end the summer looking like a threadbare grey rag that's spent half its lifespan at the cleaner's. I bought the Madewell Wellspring popover a couple of years ago, and it is hands-down the most-worn item in my closet. I bought a backup this spring out of fear that they might stop making it! If anyone is looking to get the henley, be forewarned it runs absurdly large. As in, size down by at least two.